"15 Top Ways to Save Money"
To help you find the Best Ticket Brokers, TopConsumerReviews.com provides you with an in-depth comparison of Ticket Liquidator and Stub Hub. There's something about attending a live event that's special. Audiences have energy. Whether you are watching a Broadway show or cheering for your favorite sports team, seeing events live takes the experience to a new level. Unlike 20 years ago, modern technology provides convenient purchasing solutions for our busy schedules. Not everyone has time to drive to a box office to buy tickets, nor wait in a long line. That is where online ticket marketplaces come in handy. Ticket Liquidator has been in business since 2003. They are another online ticket marketplace, working with various sellers. If you are new to using this purchasing method for events, this company's website has a helpful "FAQ" page for commonly asked questions. Even if you decide to use another company, this will help you get a feel for how the process works. We were pleasantly surprised to find over 700 positive reviews for Ticket Liquidator, praising them for great service, ease of ordering and receiving tickets, and occasional discounts. What's more impressive is that the company responded and thanked their customers for their reviews. We did find other negative reviews, complaining of over-pricing, so we recommend shopping around to find which ticket marketplace provides the best deal. You can find other listings, including bands currently on tour and recently announced tours. Overall, the site is organized, user-friendly, with a polished look. New customers will receive an excellent introduction to purchasing tickets online. Our main concern is that we did not find Ticket Liquidator to be registered with the Better Business Bureau, and when we read a bad review of their services, it was extreme. We hope they will work toward becoming an accredited company. Doing so would raise their credibility. Stub Hub is owned by eBay. According to the website, they are a "marketplace," allowing "experienced seekers to buy and sell tickets" online. In other words, they are ticket brokers, helping buyers and sellers come together to make a deal. While they are not accredited with the Better Business Bureau, they do have an A+ rating. We enjoyed looking under the "Popular near you," category. Just enter your zip code and find what events are happening near you. They also offer "Last Minute Service," which allows shoppers to buy tickets up until an event begins - as long as you are close to an LMS pick up center. Regarding customer service, Stub Hub changed the ticket marketplace. They are the first company to show seating maps and virtual venue tours online. Consumers can post their tickets to sell on the site for free. There is also an app available to manage your ticket sales, allowing you to adjust the price at any time. We recommend watching the informative videos on the website, which go over in detail the buying and selling process of Stub Hub's marketplace. The company promises a 100% guarantee for the tickets sold on their site. They promise "valid tickets or your money back." This money-back guarantee holds true even if the event is canceled. For sellers, Stub Hub "handles communication with buyers." So new customers can enjoy peace of mind working with this company. Overall, the site is clean, and we like how they listed benefits for buyers and sellers. Our main concern is that the site does not list service fees. We also found some negative reviews on other locations which specifically mentioned high service fees at checkout. It might be best to shop around to see if they have the best pricing. Online ticket markets act as brokers, connecting buyers and sellers to one another. There is usually a service fee and the vendors - not the marketplace - set the prices for the tickets. Thus, choosing to use one of these services can result in more charges than one planned, so it's important to know which ones are trustworthy. Accreditation: Is this company registered with the Better Business Bureau? If so, are they accredited? What is their rating? Selection: What kind of events do they provide tickets for? Customer service: What kind of purchasing experience can you expect if you work with a particular company? Satisfaction: Do they guarantee their product? Any return policy? 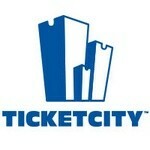 TopConsumerReviews.com has reviewed the best Ticket Brokers available today. We hope these reviews help you find the tickets that you're looking for!